You guys already know how much I love "animal prints", especially the atypical ones, i.e. animals in print. So of course, when I saw this sweater at Old Navy, I couldn't resist. It didn't hurt that it was on sale, either! They have a few variations with other animals, which I was tempted to grab. I resisted the urge--as I usually jump on a trend, over buy said trend, and then at a later time catch myself wondering "What is all this junk in my closet?!" So I tried to spare myself. I'm still debating that fox, though. 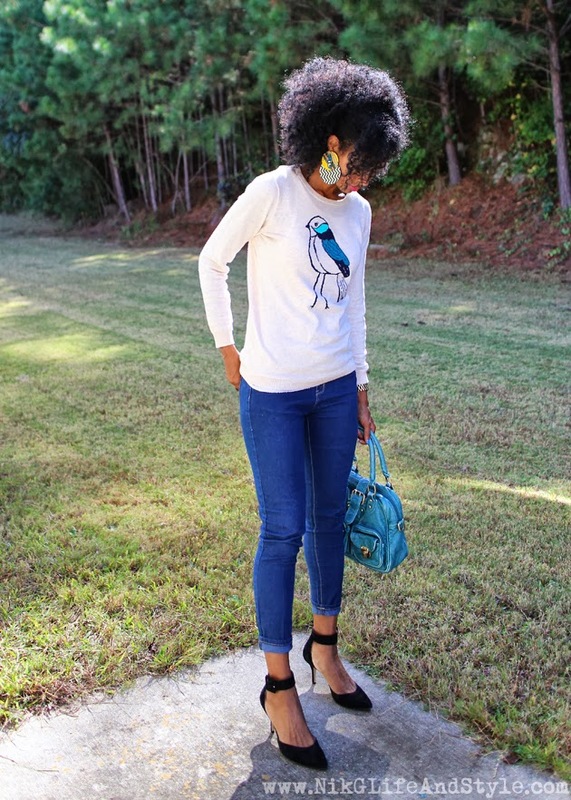 I finished off the look with cropped jeans and the cutest shoes I'd gotten a few weeks ago from DSW. Yes, they are almost identical to a shoe that Zara use to sell a couple seasons ago. I wasn't able to snag them before they'd sold out at Zara and have been keeping my eye out for a pair that were similar (or in this case, identical). Also, unlike the Zara version, these are real suede, yet were similarly priced. Yay me! By the way, aren't these handmade earrings great?! 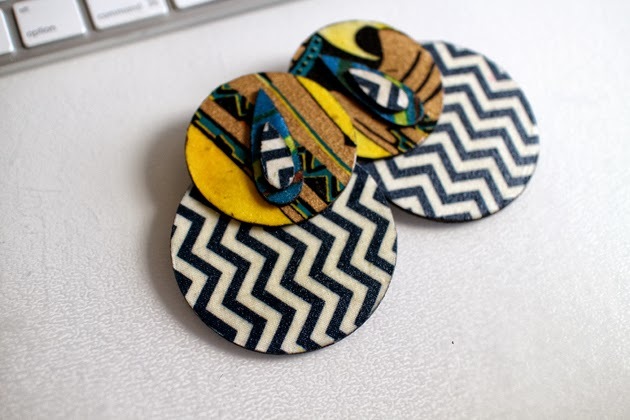 I am totally smitten with all things African Ankara/Wax print and that's what these remind me of. I won them via a giveaway from a fashion blog that I follow--Sweenee Style. I love her looks, so be sure to check her out! 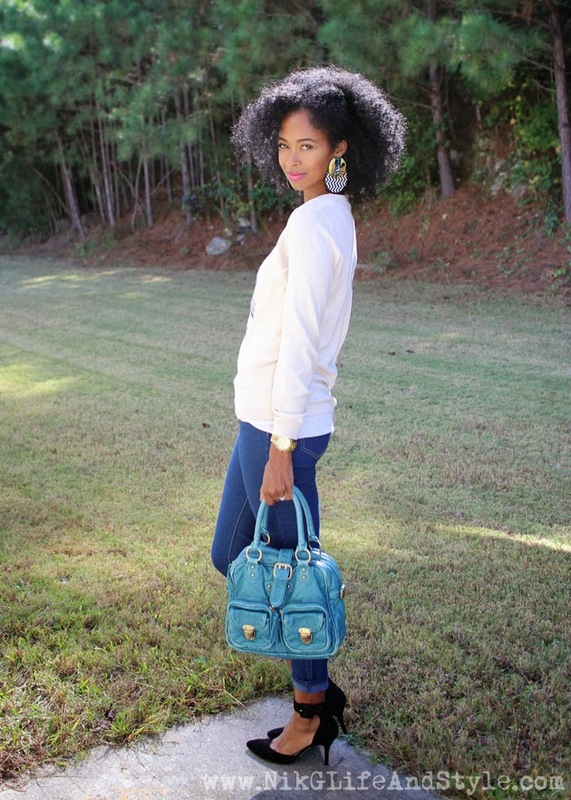 the sweater and earrings are all sorts of fabulous. these pictures are great, you look amazing! And I LOOOOVE the hair color, too! Thank you!! I will be sure to check out your blog! 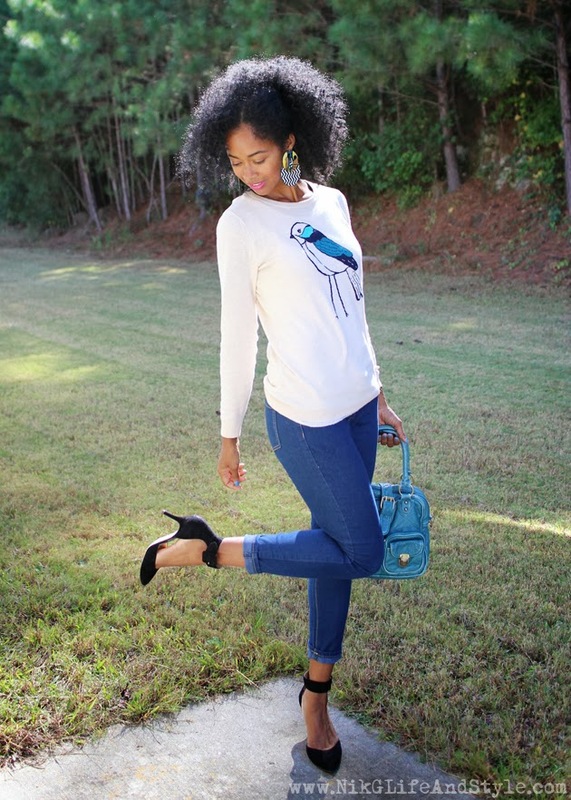 I am IN LOVE with that J.Crew sweater. I just can't seem to hit "check out" on that price!! lol But it IS lovely. Hey Nik.. You Rocked it Girl! 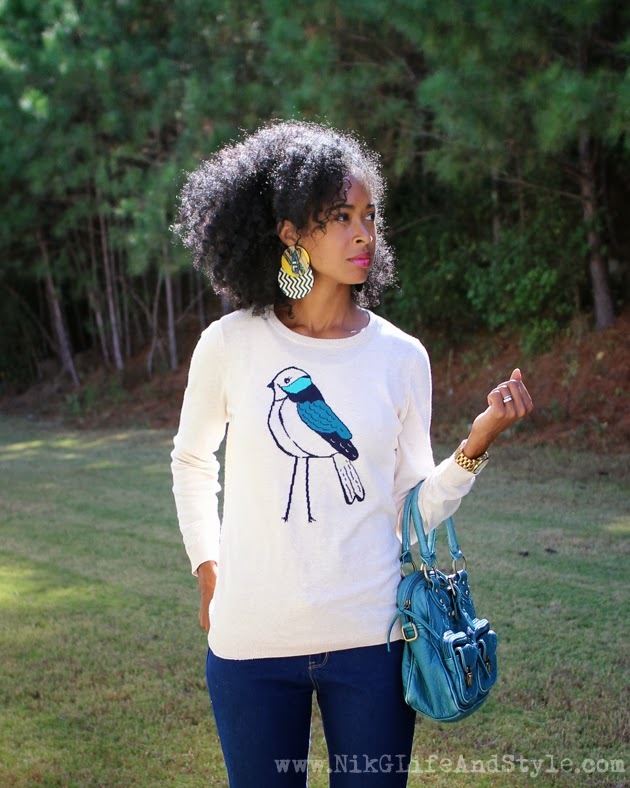 Love the earrings with that sweater. too cute! :) Thanks for the love! Thanks for the giving me the chance to win them! 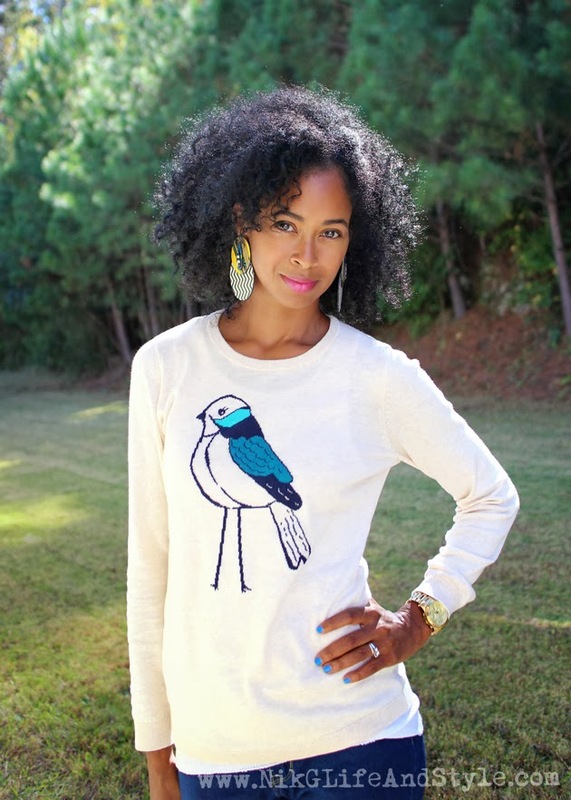 I think the bird top is so cute, and those earrings look quite fabulous on you! I love your outfit. you have a new follower. They are exactly like the Zara ones you're so right! I missed out on them too! Need to fit money for this shoe in my budget they look gorg on you!! They weren't pricey at all. I hate that it looks like a lot of sizes are gone. I guess I wasn't the only one that caught wind to them! I would kill for a red pair of these. Now you've given me a new obsession! lol Thanks for reading! I found you via splendor. liking what I see and am following via blogloving. Love your style.